2nd Edition after 4 years! 4 years ago SW Szczecin was among the first cities to hold a SW in Poland! Szczecin is at the border with Germany. There were then many people coming from both Germany and Poland but also from Holland, Ukraine, France or Nigeria. Organization: Organizers did a great job! The event was small but there were all the time many people to take care of between the mentors, judges, attendees, visitors… They also provided all the material we needed and were always open for a chat or to help teams! 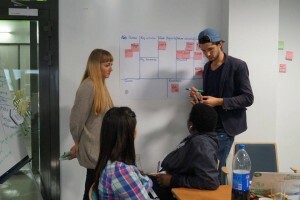 Also, the Startup Weekend methodology (BMCanvas, Pitching process…) were explained in different workshops. I met really cool people who did great in terms of logistics & advice for a first SW!! The weak point was, in my opinion, on the presentation & facilitating approach. There was indeed no official facilitator from Startup Weekend to put everyone in the proper atmosphere as I saw in other events before. As a result, we missed a bit of craziness to make the weekend even more fun! To sum-up; you guys did great and I thank you for being always available for all kind of questions (especially on where to take a shower ;)). I’m sure, there will be more SWSzczecin to come and they will all be better than the previous ones!! Learn by doing, that’s a Startup Weekend value! 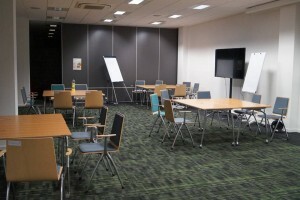 Venue: The Technopark from Szczecin is just awesome! It is a spacious place, super modern, open 24/7 and each team had enough space around to express their self and work with enough freedom and privacy. So +1 for the venue! On Friday night, I counted around 42 attendees and only 14 did pitch an idea! This is so few! As always, I saw people really hesitating about going but they were not encouraged enough to take the shot! When I was talking about craziness above, this is what I meant. People go more easily pitching after having played a crazy game all together or after a very energetic presentation! However, 14 pitches was at least enough to make choices. Some ideas were focused on traveling and tourism, sharing platform as an AirBnB model or animal. Due to few pitches, there was not a high diversity in ideas but in the end, 6 teams started to work on their concept! So everyone was happy! Florian, a cool German guy, pitched an idea about a way to get information about books in a Map kind of view. I liked the idea and so did many others… Indeed, we ended up to be 8 within the team! The biggest team I ever worked with so far and we were all business people… Therefore our skill diversity was very limited! Anyways, we took our time to share our stories and who we are and we started to brainstorm! Very quickly, two main ideas popped out; a mapping platform for books that could connect them and crawl recommendations from people or a wiki platform where to share an effective process to learn a new skill or knowledge steps by steps. We took the decision of going for the wiki social aspect. KnowledgePath ended up as a Wiki platform where people share their stories about how they learnt a new skill/knowledge. Users would show their path and the steps they have been going through! A cool atmosphere within the team: everyone was pretty much on the same page. Even though we had our ups and downs in the decision making process, we always kept a good mood with a lot of humor and we spent time to get to know each other. A really good user validation: we are maybe the only team which went outside to get feedback from people. We even collected e-mail address. 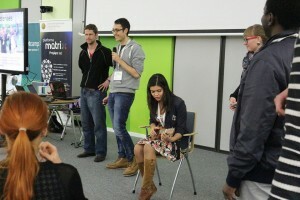 A strong Startup Weekend experience: most of us had already attended SWs or Hackathon. For example, I met Pascal who is a Startup Weekend NERD just like me! He indeed participated in 15 Startup Weekends!! That is 5 more than me HAHA! A big team: we were indeed 8! Sometimes we didn’t have enough tasks to keep everyone busy and motivated! We spent too much time on deciding how we should orientate the product. Indeed, we hesitated a lot between a book based idea or a social Wiki one and not everyone agreed on the main values for our product even after voting. We had clearly a loss of motivation after that and it took us time to get back on the track as a solid team. We had a very clear final presentation and the jury recognized it. We were very professional and we simply showed what values we were trying to bring to users & customers. We were very sharp on our advantages. However, our weaknesses were too obvious at some point; our team wasn’t enough diversified to make it happens. We all learnt a lot! It was the first time I was part of such a big team and this Startup Weekend in Szczecin really made me realized how challenging it is! Having 5 different nationalities (Germany, Holland, Ukraine, Nigeria and France) around the table helped a lot to learn from each other as well. We assisted to 6 different final pitches. Every team had different ways to present and some had very good execution, meaning that they did build an actual prototype over the weekend! Oh yeah I forgot, Jane, one of our teammate, played Ukulele in live! As I wrote above, our pitch was well done in term of presentation skills. It was indeed very clear. However, not having an actual prototype was a huge weak point. Also, having a product relying on social sharing system force you to build an important user community and proving that you can do it over a weekend is impossible even if we had a strategy about that. I liked very much the fact that the jury gave a personalized feedback to each team! This doesn’t happen in all Startup Weekends and it is actually very valuable. So everyone really appreciated that they took time to do so! First of all, Polish people are so nice! I came by hitchhiking to Szczecin with non-English speakers and it really didn’t matter! They took me in and were glad to help me! I was always given attention there, even if we didn’t speak a common language! I remember this guy driving me for the last 15 kilometers to Szczecin… We couldn’t understand each other but through smiling, gestures and some common words we spent a really cool time! This is very Human in a way and such little moments mean a lot to me! The organizing team took great care of all attendees. Here again, I saw very helpful people who did a great job! 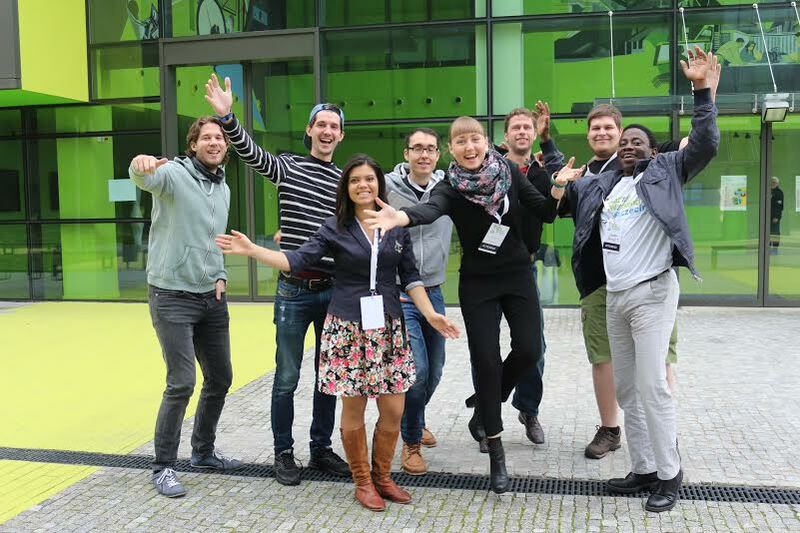 It was the second Startup Weekend edition in 4 years and I’m sure the next one will be even better! Seeing so many coaches and mentors going freely from teams to teamds was actually a pretty good thing this time. They were most of the time very helpful and didn’t try to change everything in a team with their feedbacks. It was as well a very good way to meet inspiring and interesting people! To sum-up, I had a good time in Szczecin and I met very cool people among the local population, attendees, organizers and coaches. Thank you for this SWSzczecin! I’m sure the next SW will be even better! Good luck and Bon vent! Sport Trip Planner: find the best touristic places regarding the sport you want to practice there. The team was very good and diversified in term of skills! Footsteps: share your personal touristic tips and routes with a community and get rewarded for that. They did build the best actual prototype. The mobile app was responsive and well designed! FindSuperHero.com: find the right developers in freelance to collaborate with you on a project. This entry was posted in SW Summaries and tagged françois gobert, Poland, Startup, Startup weekend, Startup Weekend World Tour, startupweekendworldtour, Szczecin, Tour, Travel, Weekend, World by François. Bookmark the permalink. Intéressant et bien écrit, félicitation. On a un peu l’impression de participer à l’elaboration de projets ! J’avais une question: qui décide d’aller pitcher ? Toi tu choisis sur quel projet tu souhaites travailler ou tu pourrais aussi présenter une idée ? En ce qui me concerne, j’adore pitcher mais j’ai une règle pendant ce voyage: “No 1 minute Pitch!”. Donc je rejoins à chaque fois une équipe qui me plaît.